Obama supporters and protesters were out in last night in San Francisco as he visited the Civic Center, trying to raise money for his campaign. 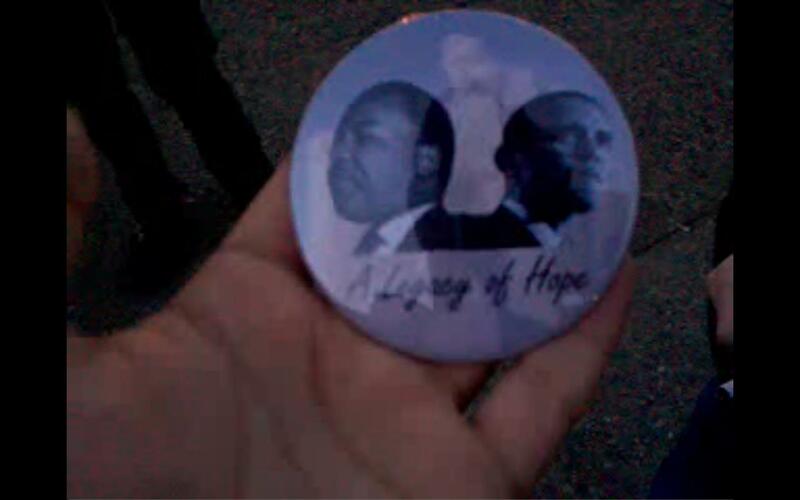 Among the items being sold was a button with the faces of both Martin Luther King and Barack Obama, and what appears to be a background of the Lincoln Memorial, with the caption “A Legacy of Hope”. The button is being held by an Occupy live streamer who was upset what he saw as the presumption of Obama to so link himself to Martin Luther King. This entry was posted on October 9, 2012 by nickarama. 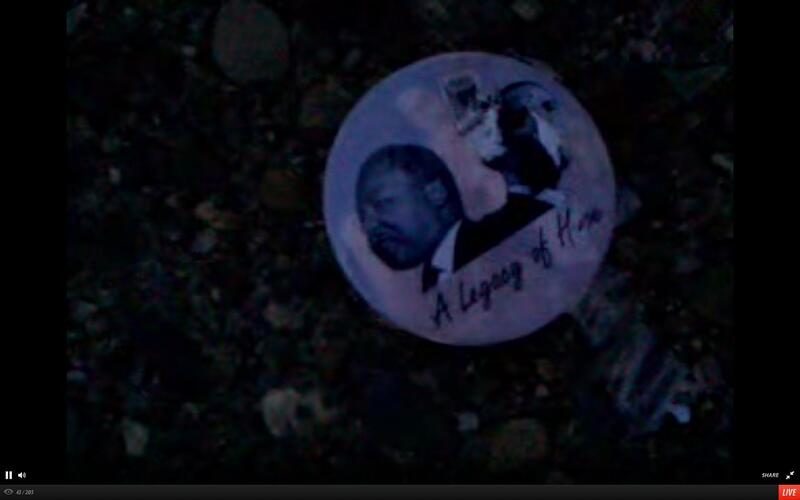 It was filed under Occupy, Politics and was tagged with "A Legacy of Hope", button, MLK, Obama, Occupy.